She spent one perfect hour on Earth and went to Heaven at 3:27pm. January 30th was a beautiful day! The sun was shining and it was a high of 67 degrees, our favorite kind of weather. We woke up in a kind of surreal fog. 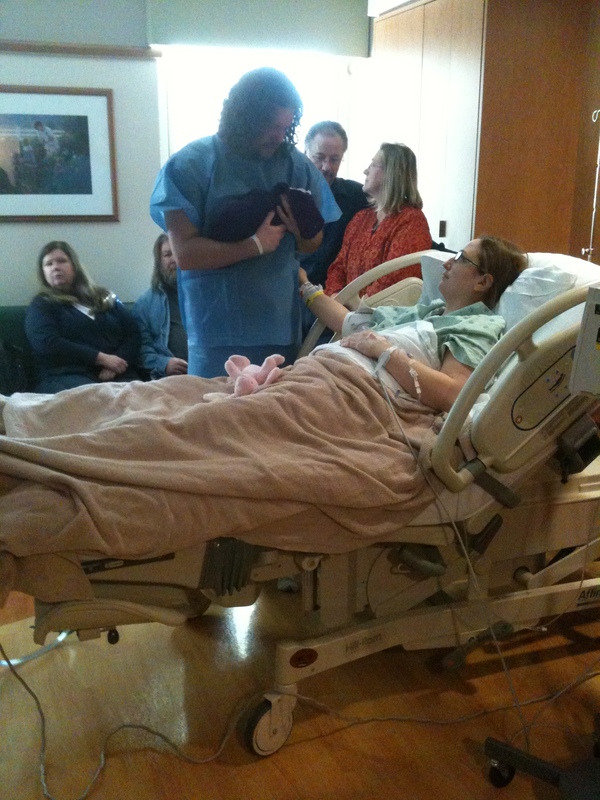 This is the day that we meet our baby girl. We double and triple checked our bags and sat around in silence waiting for the clock to tell us it was time to go. We arrived at the hospital around 11:30am. 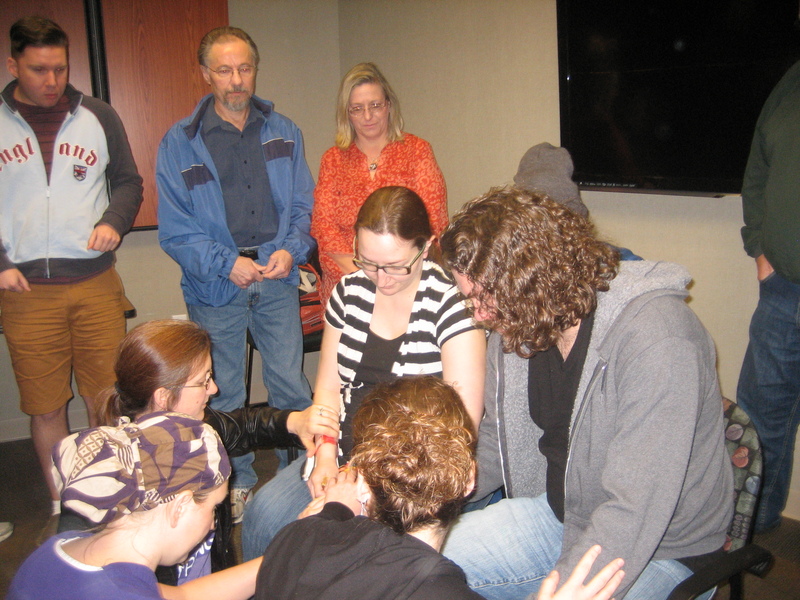 We had asked our family and friends to meet with us around noon in the hospital chapel to pray with us. Everyone started arriving in the little chapel around 11:30 and by 11:50 roughly 20 people had stuffed themselves into the little room. The hospital chaplain introduced himself to us and explained they perform a noon chapel service that is broadcast throughout the hospital. He was very nice and I explained our situation to him. 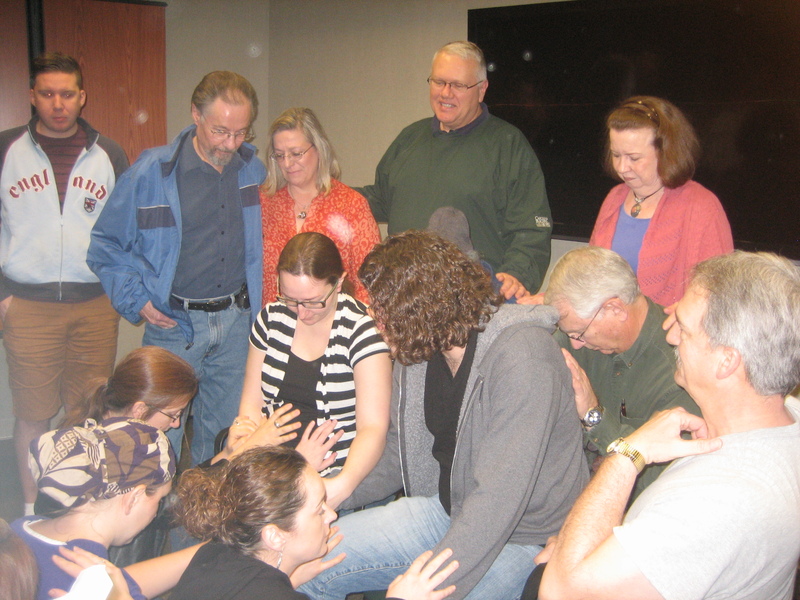 He was able to find a larger, more private room for us to meet in and by noon we had between 30-35 people covering us in prayer in one of the hospital conference rooms. We prayed for God’s will to be done. We asked again for healing for sweet Epiphany and peace for Timmy and I regardless of the outcome. Our friend and nurse, Becky. At 12:30, Timmy and I along with our friend Becky, who was one of our nurses, headed to the pre-op area. Our prayers were answered! The fear we had been feeling was gone. 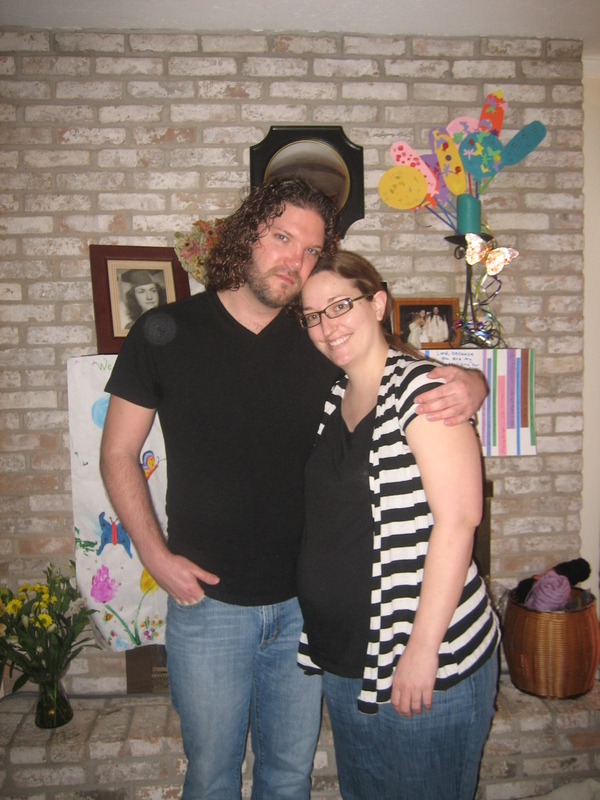 We were happy and looking forward to whatever time God would give us with Pippy. At 2:00 we were ready. 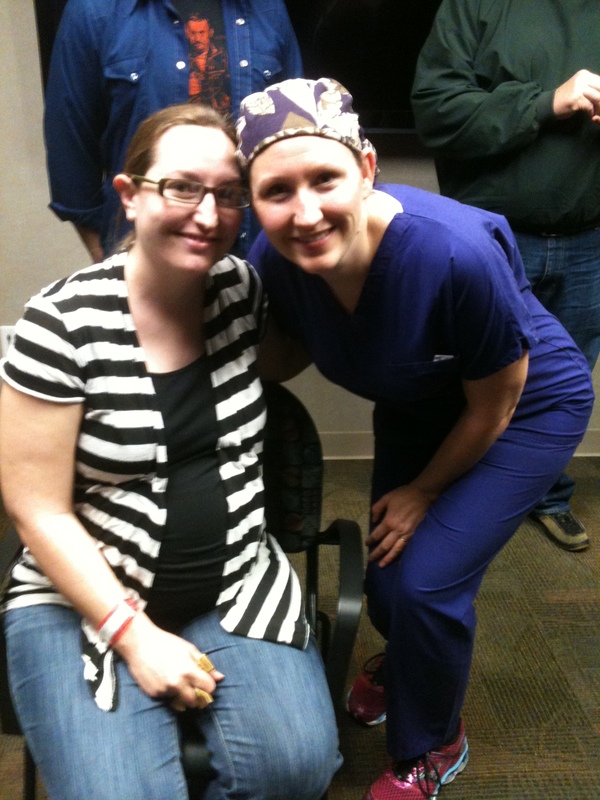 Timmy and I walked down the long hallway, past a very packed waiting room full of our friends and family, and to the operating room where we would soon see our precious baby girl. They took me into the OR first so they could get me prepped and draped with my spinal anesthesia. Timmy said he felt like he was in the hallway forever, just waiting to go in and be with me. Before I knew it, he was by my side. I remember it was like he was just all of a sudden there, saying “Hi Honey.” During the operation we talked to each other, but neither of us really remembers about what. I do remember us saying thank you to each other for being the wonderful spouse the other needs. And then suddenly, the doctor was to our left saying “Here she is! 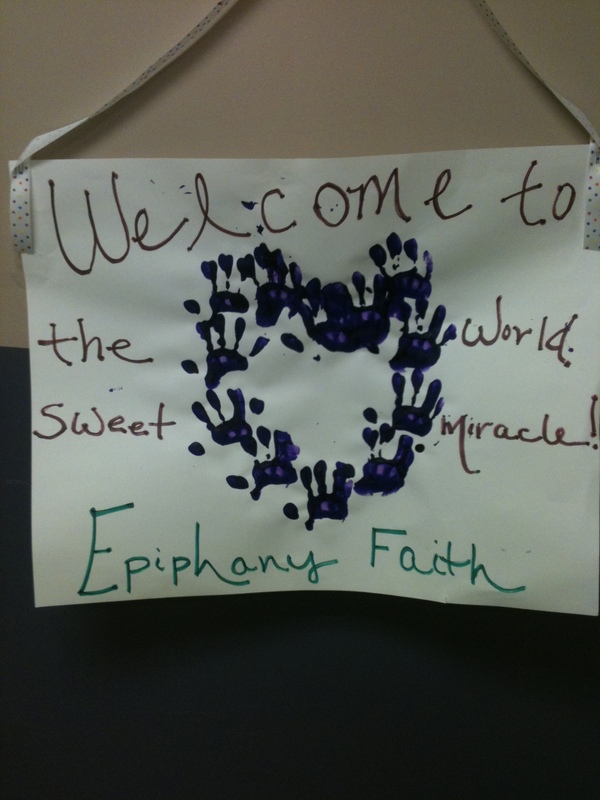 She’s perfect.” At 2:20pm we saw Epiphany Faith for the first time. She was so tiny! The first thing I said was, “Awww! She’s so cute!” Timmy was immediately up and by her side. I got to watch, albeit from a very uncomfortable angle, as Becky and the other nurses cleaned her up and Timmy stood by her side watching. She didn’t cry. I smiled through my tears and prayed that she was breathing. Our friend Allison, who was also our photographer, looked at me and said, “She’s pinking up and she’s breathing.” Thank you God! 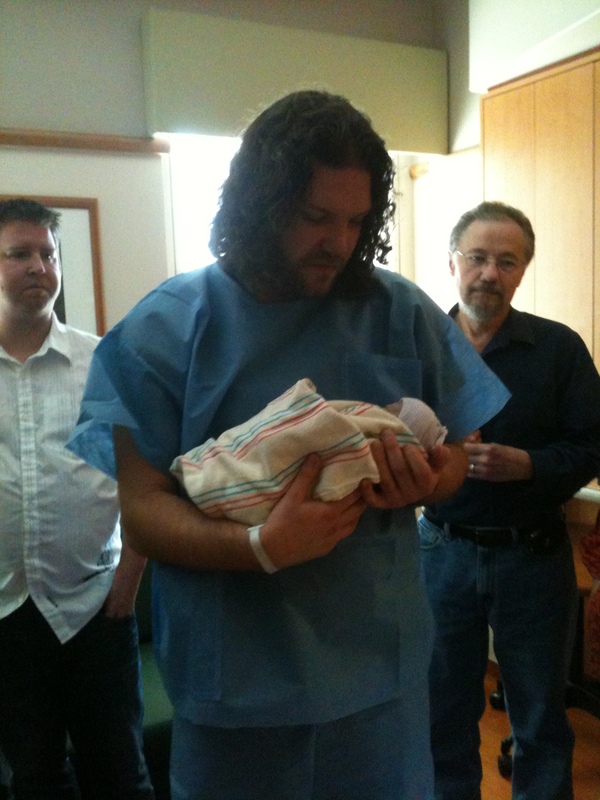 I continued to watch as they wrapped her up and placed her in her Daddy’s arms. Timmy brought her back to me and held her little body in his strong and capable hands so I could see her beautiful face and kiss her tiny head. I remember telling him I wanted to touch her, but I was afraid I would knock her out of his hands. (My arms were free to move, but the angle and drugs made me a little unsure of my movements.) He kept saying “I’m not letting her go.” Before we knew it the doctor was saying she was done and we were ready to go back to our room. Timmy carried little Pippy down the hallway, past our friends and family, and to our room as the nurses wheeled me slightly in front of him. I vaguely remember smiling at people as we went down the hall. People strained their necks to try to catch a glimpse of this sweet new life. Timmy held her close and protectively. He said she gave him a faint little whimper as they made the trip together. How beautiful that he got to hear her little voice. 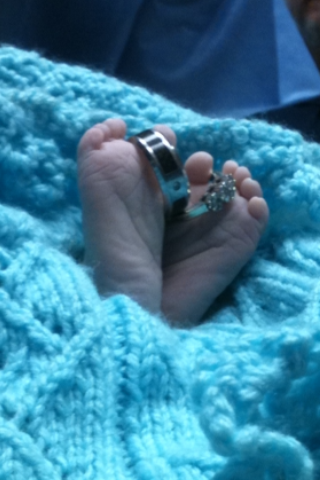 Pippy’s precious feet with Mama and Daddy’s wedding rings. Timmy and I spent some time with just Pippy before we allowed our family in. We cried and laughed and smiled and praised God for this precious little gift. We called our parents and siblings in and everyone got to see her. Our sweet friend Allison took some amazing pictures of her for us to remember her by. I’ll post those when we get them. In the meantime, here are a few cell phone pics. Our family. She has Daddy’s hair! At 3:27pm Pippy was called Home to be with our Heavenly Father. She passed peacefully in my arms. She never struggled to breathe. She never expressed any pain or difficulty whatsoever. God answered our every prayer. He used us and our Pippy for His glory. People have seen our God through her life. He gave us precious time with our baby girl before He called her home. He spared her from any pain. He put breath in her lungs. He gave us amazing joy and peace through the whole experience. 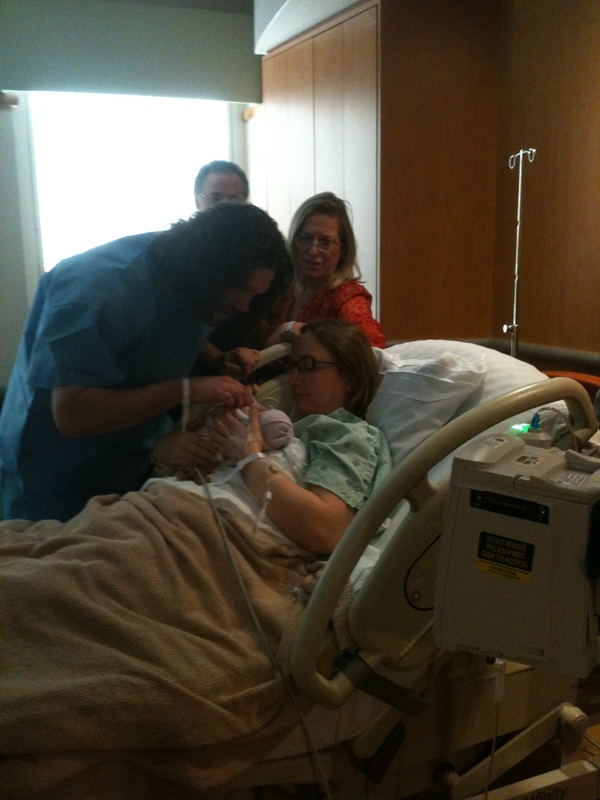 Timmy and I had the rare priviledge of experiencing every single moment of our child’s life. We are honored to be her parents. We are thankful for the time we got with her. We are forever changed by this amazing little girl. The “sudden appearance” of Epiphany Faith Legan was the most amazing experience of my life and the coolest thing I have ever been part of. 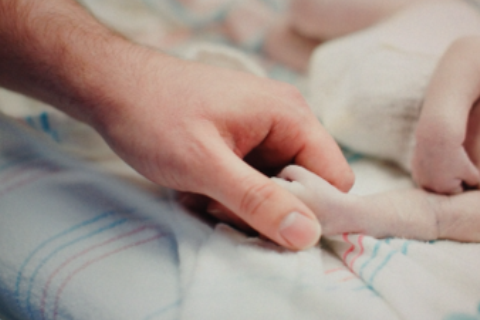 She was our little miracle baby and we are extremely proud to be her parents. January 30, 2013, was a perfect day. Thanks so much for sharing her with us. I have been so blessed to have been able to be a part of this story. (Although I’ve used quite a few tissues). I so look forward to the next chapter and in doing so we will find out what plans God has for you two. I will continue to pray for your comfort and your healing from the surgery. God has surely blessed you and yours. Such Thankfulness for answered prayers. I love the way you seek the good in life. Never Stop. Love and Hugs….. Thank you for your brave story of LOVE. I am sorry for your loss, but I appreciate your faith and love. God understands pain better than anyone, and my He comfort you. As King David expressed when Bathsheba and David’s first child died, “He cannot come to me, but I shall go to him.” My memory translation.